In groundbreaking research set to rewrite textbooks, scientists have found evidence of paternal inheritance of mitochondrial DNA. Until recently, mitochondrial DNA was thought to be inherited solely from the mother’s side. “This paper profoundly alters a widespread belief about mitochondrial inheritance and potentially opens a novel field in mitochondrial medicine,” the authors wrote. Living things are made up of millions of tiny units of life called cells which are composed of extremely small functional parts called organelles. A mitochondrion is a cell organelle that has an extremely important role in the proper functioning of the cell. Also known as the ‘powerhouse of the cell’, mitochondria are responsible for producing chemical energy called ATP (adenosine triphosphate), which is necessary for all biological processes within the body to occur. Most of our DNA is stored in the cell’s nucleus, but some of it is also stored in the mitochondria, i.e. mitochondrial DNA (mtDNA). While in some species (i.e. flies and lice), mtDNA can also be inherited from the father, in humans, this was known to exclusively come from the mother. Nuclear DNA, on the other hand, is inherited equally from both parents; a child will inherit 50% of their nuclear DNA from the mother and the other 50% from their father. But this common knowledge has been turned on its head by a new study led by geneticist Taosheng Huang from the Cincinnati Children’s Hospital Medical Centre. The study was spurred by the case of a four-year-old boy, who showed signs of a mitochondrial disorder. When Huang and colleagues tested the boy, they were shocked to find that his mitochondrial DNA also seemed to contain paternal contributions. Of course, that should have been impossible but subsequent tests returned the same results. When the boy’s sister and mother showed evidence of the same heteroplasmy (the co-existence of multiple mitochondrial DNA variants in a single source), Huang knew he was on to something. When the researchers sequenced the mtDNA of the mother’s parents, they found that the mtDNA had a 60/40 inheritance from her mother and father, respectively. Overall, the researchers identified three unrelated multi-generation families (17 individuals) with mtDNA heteroplasmy, ranging from 24% to 76%. This phenomenon may be present in as many as 1 in every 5,000 people, according to the preliminary investigation published in PNAS. The authors are careful to note that maternal inheritance of mtDNA is still the norm and that these results signify an exception to the rule. However, it’s not clear how rare these exceptions are. For instance, previous genetic sequencing that turned up a paternal inheritance of mtDNA were discounted as errors. These new findings suggest that there may have been more to these observations than mere errors. Scientists aren’t exactly sure how this paternal mtDNA infiltrated the embryos. What they know for sure is that this must be a genetic trait, especially since there doesn’t seem to be any defects present in any of the patients’ mitochondria. 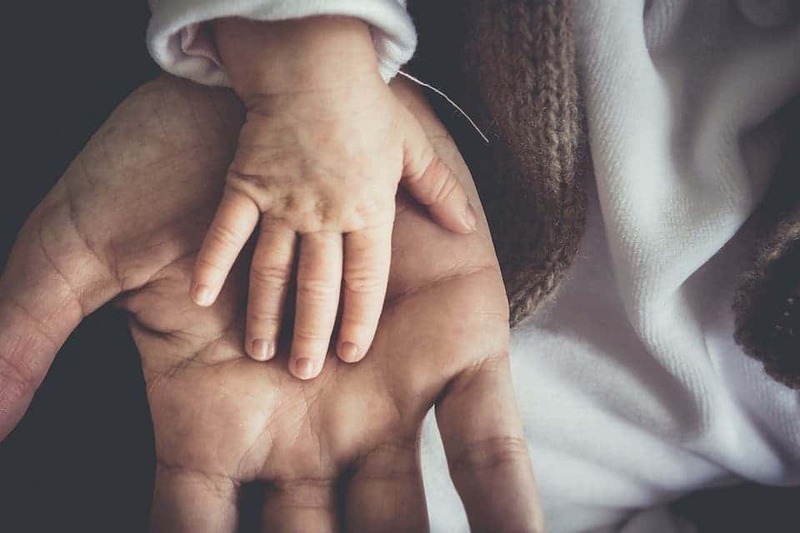 It’s likely that whatever allows fathers to pass on their mitochondrial DNA to their offspring is due to a mutation in the nucleus — where DNA comes from both mother and father. In the future, researchers will keep a watchful eye for cases of heteroplasmy in humans. What’s certain is that our view of genetic inheritance has expanded greatly, and there’s no telling just how far this could go, from novel gene therapies to tracing down our species’ evolution.